We love, we live, we give what we give! Broadway alum Bronson Norris Murphy (The Phantom of the Opera) has joined the North American tour of Andrew Lloyd Webber's Love Never Dies, The Phantom Returns. The traveling production, which will soon play engagements in Houston, Dallas and Austin, also stars opera-trained coloratura Meghan Picerno as Christine Daaé and is the follow-up musical to the legendary love story The Phantom of the Opera. Directed by Simon Phillips, Love Never Dies is set against the spellbinding backdrop of Coney Island and picks up 10 years after The Phantom's disappearance from the Paris Opera House. In a final bid to win back Christine’s love, The Phantom lures her, Raoul, and their young son Gustave, from Manhattan to the glittering and glorious world of Coney Island—not knowing what is in store for them. 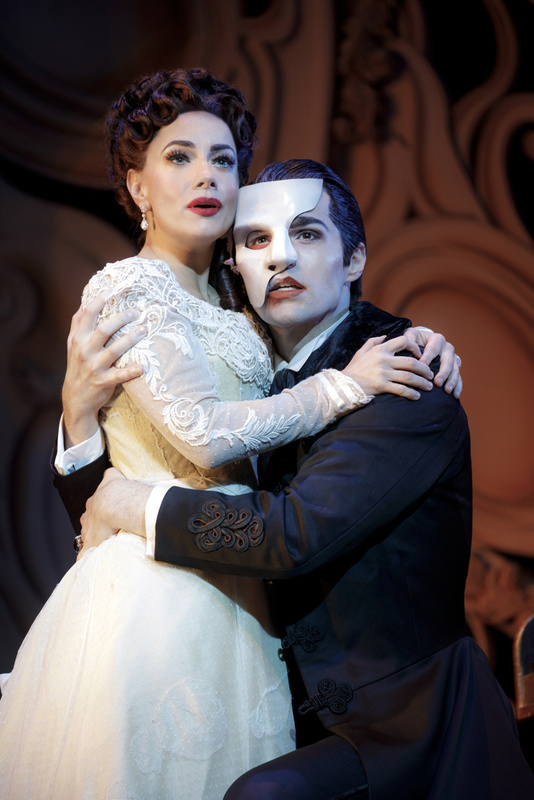 Don't miss your chance to see Love Never Dies!